Music and poetry are often intertwined; whether it's through the turn of the lyrical phrase or the message of the verse, poetry has a rhythm that speaks to many people. 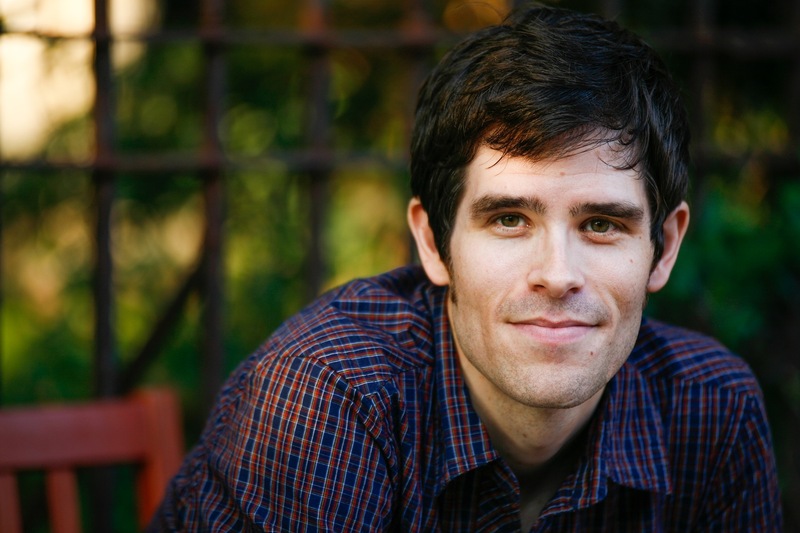 Trumpeter and composer Matt Holman was introduced to the Greek poet Sappho (630-550 B.C) by his wife in the early of their courtship and the poet's words fell on receptive ears. Historians believe that the poems were written to be sung with accompaniment of the lyre. 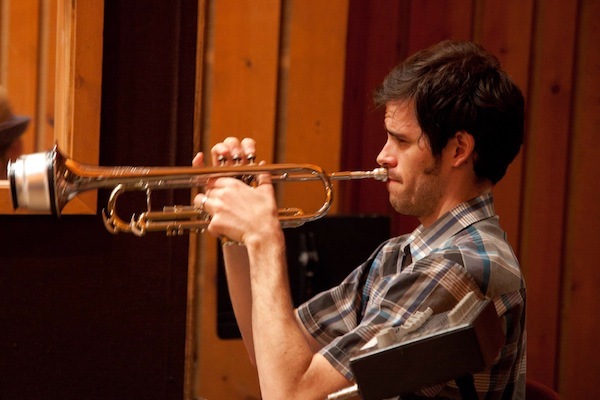 Holman, who has worked or is now working with large ensembles led by Darcy James Argue, John Hollenbeck Fred Hersch’s Leaves of Grass, Asphalt Orchestra, guitarist Joel Harrison, and the JC Sanford Orchestra (among others), also is a member of the SKETCHES quintet and is on the faculty of the Manhattan School of Music and Hunter College. The poetry of Sappho is the inspiration for "The Tenth Muse" (New Focus Recordings), the trumpeter's second album. Working with Sam Sadigursky (soprano sax, clarinet, bass clarinet, flute, alto flute), Chris Dingman (vibraphone), and Bobby Avey (piano), Holman uses fragments of poems (many of them no more than a short sentence) to create 16 pieces that are minimalistic yet melodic, thoughtful, meditative, reflective, emotionally powerful, and sometimes verging on melancholy. It's best to let the music do the talking. The clarity of the sound, the beauty of the individual instruments, how the composer and arranger mixes and matches the voices, how the poetic fragments become musical stories, the moments when the music transports the listener (literally) out of time, all this and more makes "The Tenth Muse" very special. 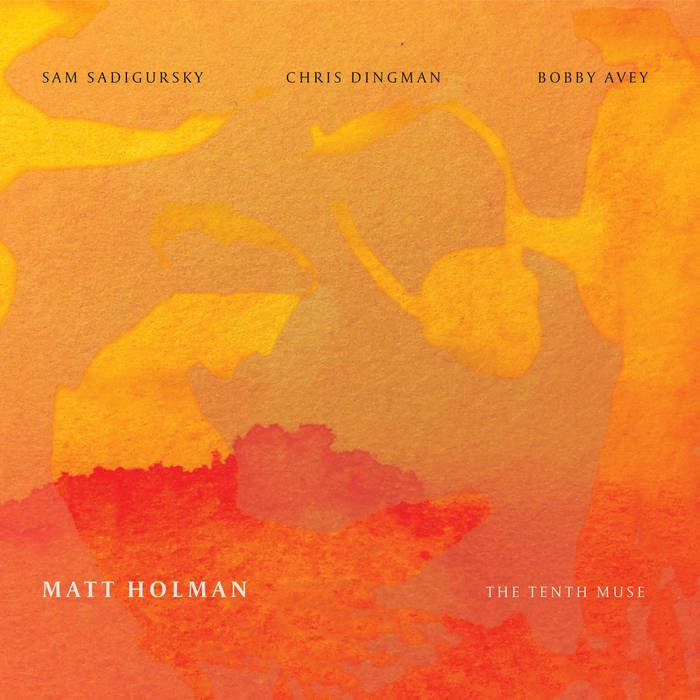 There are moments when the Sadigursky's clarinet or soprano sax echoes or trails behind the trumpet, when the rolling piano chords build to a thundering climax, when Dingman's vibraphone peels like a church bell or the trumpet sustains a note that resonate long after the album ends. Holman leaves space in the program for each member of the ensemble to have an unaccompanied solo. Those interludes are the shortest tracks in the 67-minute suite but do not feel extraneous (are titled as "Fragments"). And, while there is a classical chamber music feel to the proceedings (especially in Bobby Avey's piano work), the music defies categorization. The composer wisely leaves it up to each listener to find his or her way. If you are a person who loves to get lost in music, who likes to be challenged and rewarded by a composer and his ensemble, then seek out "The Tenth Muse." The sounds, these abstract notes that coalesce into emotions, have great power and stand out from the standard fare. Matt Holman has given us a wonderful present; take notice. For more information, go to mattholman.com. Mike McGinnis (clarinet, soprano saxophone) is a musician who easily moves in an out of different musical styles without losing his voice. He has composed for large ensemble ("Road Trip" for 10 musicians), worked on Broadway (in "Fela"), performed with Anthony Braxton and Steve Coleman as well as with Yo Lo Tengo, plus is a founding member of The Four Bags, an eclectic group that combines accordion, trombone, guitar, and his woodwinds. His new recording, "Recurring Dream" (Sunnyside), is a consummation of a desire to work with musicians he idealized growing up in Maine. The album finds him in the company of pianist Art Lande and bassist Steve Swallow, both with long careers, both connected with ECM in its early years (and, in the case of the bassist, to this day thanks to his association with Carla Bley), and both excellent composers as well as adventurous musicians. McGinnis's liner notes make mention of the bassist's work with clarinetist Jimmy Giuffre, a big influence on the young reed player. This program does not follow Giuffre's experimental trio music (with Paul Bley as well as Swallow) of the early 1960s although "Circle Dance" (credited to McGinnis and Lande) is a short "free" excursion. Instead, the listener is treated to seven delightful melodies with originals for all three, one track by saxophonist Mel Martin (the album opener "Mel's Drive In"), and a Lande "derangement" of the standard "Darn That Dream" that the pianist titled "Drat Recurring Dream." The opener is a rousing and funky piece with McGinnis on soprano sax dancing through the theme supported by the bass and piano. Listen to how Swallow not only supplies the rhythm but also counterpoint, especially beneath Lande's delightful solo. The bassist's subtle sound blends nicely with the piano throughout and, most notably, on McGinnis's handsome bluesy "Hearth." Another lovely ballad is "Amazing", composed by Swallow, that the trio takes its time to explore. Again, the piano solo is a delightful, a poetic take on the melody with impressionistic flourishes and lovely single-note runs. 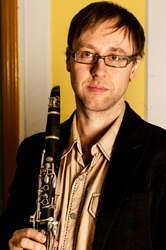 After the composer's melodic solo, McGinnis creates an emotionally rich clarinet excursion. Lande's "Constantinople" opens with an unaccompanied piano solo and it's fun to hear where the directions the pianist's mind goes. Swallow's tone is perfect for this ensemble, meshing well with the lower piano notes but also serving as a strong solo voice. Listen to his delightful lead-in to his piece "Bend Over Backwards" and how it sets the stage for the bluesy body of the song. Lande and McGinnis take a jaunty stroll through the theme and then the clarinetist digs in for a solo that may remind some of Benny Goodman or Artie Shaw. The pianist takes off into a solo that plays with the tempo, working with it or behind the beat, even jumping ahead on occasion. One gets the feeling while listening to "Recurring Dream" that this trio had a lovely March day in the recording studio. They got to play, create lovely music, some playful music, and just enjoy the camaraderie. Art Lande or Steve Swallow, no matter the setting, are always "themselves", knowing when to lay back or step in. 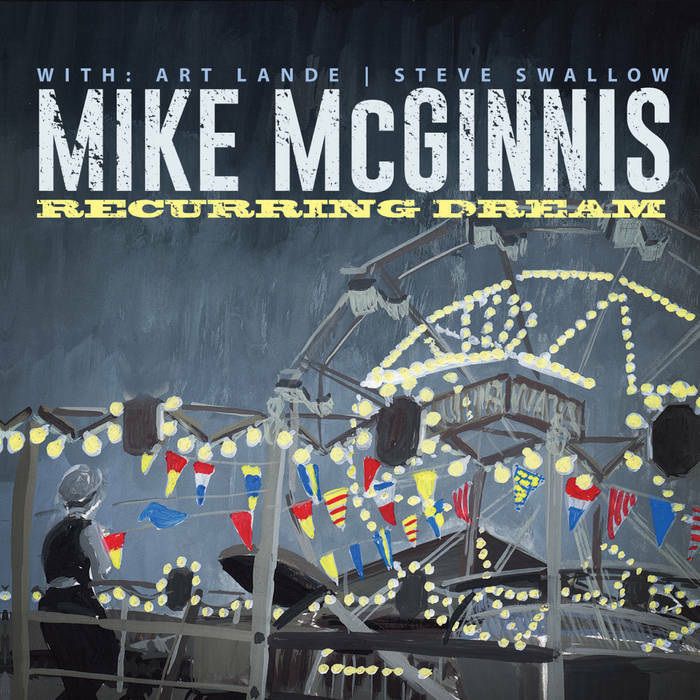 Over the past 15 years, Mike McGinnis has demonstrated he can play and compose in many different styles, creating a body of work is fun, funky, serious, and very much his own. Delightful music anytime of day, I bet they are a joy to watch in person as well. To find out more, go to www.mikemcginnis.com. One of the joys of contemporary music is how composers and musicians often go in unexpected directions (not talking about "pop" music here). 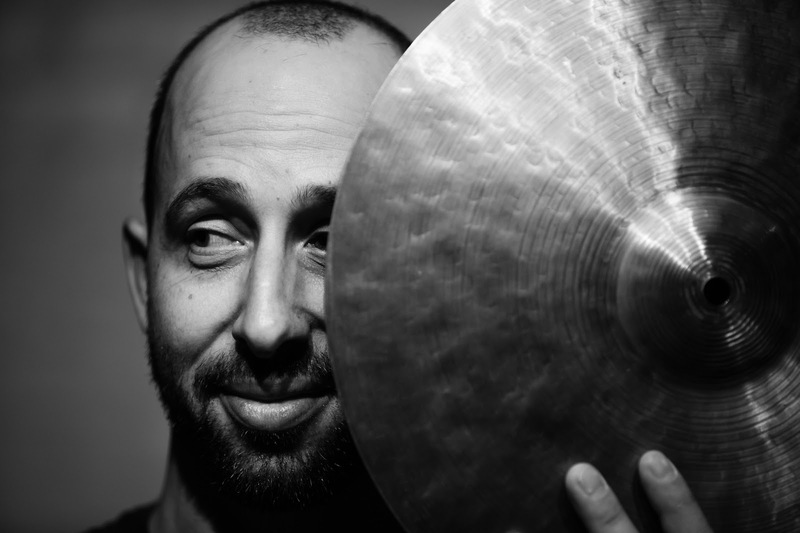 Drummer and composer Harris Eisenstadt has several "working", ensembles that explore "free" music, through-composed pieces, jazz, Americana (Canadia, I suppose), and more. 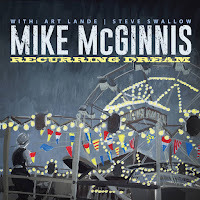 His new album, "Recent Developments" (Songlines Recordings), features a fascinating nonet - Anna Webber (flute), Sara Schoenbeck (bassoon), Nate Wooley (trumpet), Jeb Bishop (trombone), Dan Peck (tuba), Brandon Seabrook (banjo), Hank Roberts (cello), Eivind Opsvik (bass), and Eisenstadt (drums) - playing a suite that only displays a form on repeated listenings. That is not a criticism. The composer does not betray a theme by giving his pieces titles so it's up to the "active" listener to make sense of this work. The music features a "Prologue", "Introduction", the six-part "Suite", five "Interludes", and an "Epilogue." Each part of the "Suite" contains intimate conversations between the musicians, whether it's Ms. Webber's flute interacting with Robert's cello to close "Part 4" or "Wooley's trumpet solo over bass and drums (with Bishop and Peck interjecting) on "Part 1" which then has a countermelody for flute, banjo, and bassoon before the trumpeter takes off over the drums. It's much more fun to listen than to dissect, more exciting to hear how structure is stretched, broken, reassembled, and changes. "Part 3" sounds like "modern jazz" yet is led in by the bassoon while the trombone solo is supported by bass, drums, and Seabrook's banjo as the rest of the ensemble move in and out of the mix. The composer adds a short counter-melody for reeds and brass that comes and goes like before you really notice. Ms. Schoenbeck's emotional solo on "Part 5" is stunning but note how the music evolves from various voices moving in and out with melodic fragments at the beginning and how the bassoon rises out of that to begin her statement over just bowed bass and drums. Subtle, rewarding, and challenging, the album opens with just flute and bassoon on the "Prologue" and closes on a group "Epilogue", a piece that ends on a bass and banjo melody that makes you feel like there's more to come and that the music is not really over. "Recent Developments" is engrossing music, surprising at times, often quiet, with the various voices drawing the listener in. 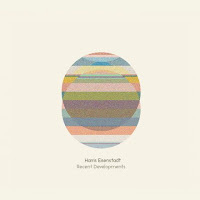 Let the musical vision of Harris Eisenstadt soak into your mind and enjoy how it unfolds, expands, and changes. For more information, go to www.harriseisenstadt.com/bands/recent-developments/.